“Another year, another dollar”, is perhaps less ordinary and more pressing today for every investor. Eternal hopes reign high that US and China call truce, and the Fed continues its benevolence with measured rate hikes, lifting once again investor sentiments, propping up iffy corporate profits and vitalizing equity markets. And therein lies the hope and case also for emerging markets, of the broad consensus, who are licking their wounds (2018: -15% MSCI EM) and justifying sticking around saying, “EM is still the best game in town”. Their general thesis: attractive valuations (forward P/E down ~17 % from a year ago levels, placing EM at a ~30% discount to DM) and a dollar poised to stop wreaking havoc in EM. But then “hope is not a strategy”, says a popular commercial! What if the worst transpires, or the wait for the clouds to part proves endless or there is collateral damage inflicted by the spate of current events. Even if the optimists win (if the ~5% YTD recovery is any indication) does it mean we have gotten rid of all the negativity around us? Win or lose, with the lack of overall conviction even among market pundits, it’s probably prudent to factor in some obvious “what ifs”, not just to brace ourselves for the worst and run for the hills but (as alternative investors) to seize the moment and capitalize on the negativity. In other words, we ought not to come up short in our portfolios by considering only long ideas encouraged by overall positive EM corporate fundamentals (better earnings growth, margins, return on equity, etc.) but also concurrently position ourselves selectively short to take advantage of downside scenarios, just as effectively as the managers below, from ÊMA’s research library. We discuss and illustrate a few economic, operating, event, or liquidity risks that offer compelling opportunities for both potential macro hedges (through credit default swaps, index/currency futures, etc.) as well as act as drivers for idiosyncratic/alpha shorts across equities, credit, forex, etc. A common “hope” denominator across global markets is the unfailing support of the consumer, from millennials to baby boomers to seniors. A big hope is predicated on Asian millennials who far exceed those in the developed markets, especially those in China with a strong penchant for discretionary spending, especially leisure. But if the current economic slowdown in China (down to ~ 6.6% from 10% in the go-go years pre 2008) ushers in unusual layoffs and the wealth effect from booming stock and property markets dwindles, the Chinese consumer bogged down by mortgage debt is going to cut down spending on iphones, autos, Louis Vuitton bags, overseas trips, wellness, etc., hurting global businesses that have historically remained beneficiaries of Chinese consumer spending. Closer to home, online sales on Tmall (selling high end brands on Alibaba) have already started taking a hit. If recent measures like a value-added tax cut, a personal income tax cut, a special personal income deduction, or social insurance subsidies to SMEs to encourage hiring, do not filter through the economy fast enough to uplift consumer spending, pricing power and margins could suffer more, worsening the pressure from higher labor costs. Without reversing course on deleveraging- a recent priority of the Chinese government to cure ills of lax lending in the past- could make loss of consumer spending more painful. Job losses in export related sectors could similarly dent both consumer sentiment and wages, that could also lead to large capital outflows in China, tumbling the RMB. Besides a weakening consumer threat, local telecom/cable (entertainment) providers disrupted by the invasion of Netflix in overseas EM markets, offer interesting short ideas. Many smartphone brands and their suppliers are also being squeezed by slowing growth, excessive supply from China and lack of meaningful differentiation presenting good short ideas. Similarly, old LCD manufacturers face threat from new government backed Chinese manufacturers in superior OLED technology affording good shorts. Combine this with shifts in China’s supply chain away from its neighbors, Korea and Taiwan, it creates headwinds for these economies as well. In India, non-banking financial companies (NBFCs) have benefited from low interest rates, weak competition, and easy access to capital. Such favorable conditions have lifted all boats, but now appear reversing, rendering those with weak business models and poor-quality management as good shorts. Qatari banks have enjoyed a good run and appear less favorable to their UAE cousins and, also offer a shorting opportunity much like problematic Turkish banks that remain cast in a weak economic backdrop despite the stabilization of the Lira. On the macro side, regulatory headwinds threaten technology that has accounted for two fifths of growth in EM equity in the bull run preceding the recent pullback. As an example, the Chinese government’s concern around the ill-effects of online gaming on its youth, restricted the release of new gaming titles hurting both game vendors and the likes of Tencent that derives a third of its revenues from gaming with popular titles such as the Honor of Kings (world’s highest grossing mobile game). Global quantitative tightening may play an even bigger role, particularly for twin deficit countries that rely on international funding, like Turkey and South Africa. At the company level, if real rates rise to offset inflationary impact of a depreciating currency (unless dollar weakens) it could also deter companies from borrowing to pursue aggressive stock buybacks, which as we know, contributed to almost a third of the nine-year bull run in the US. Policy-making by newly installed governments as in Mexico and Brazil present policy uncertainty. Recent cancellation of Mexico’s Texcoco airport coinciding with commercially questionable, infrastructure projects (e.g. refineries) in the face of deteriorating public finances announced by Mexico’s newly elected AMLO, lowers business (and market) confidence posing a threat to the Mexican peso. In Brazil, up ~12% in 2018, a clear-cut fiscal plan and a sound implementation strategy especially around pension reforms remains to be seen. Recent state elections in India where Modi’s BJP lost in three states, have amplified concerns of opposition parties pulling together a grand coalition to gain power in the 2019 elections. Similarly, other pending elections in Indonesia are concerning where Jokowi has delivered less than a 7% annualized growth promised in his 2014 campaign. Other nationalist and populist forces are gaining momentum globally, including in the major economies of Latin America and Asia that openly challenge international norms, are more confrontational, and are less predictable in policy outcomes. A slowing Chinese economy could also pose “serious” threats to the party’s “long-standing rule”, as voiced by President Xi Jinping recently. Oil continues to be vulnerable to a glut of US supply from shale and lagging global demand that could continue weighing on the public finances of oil exporters within EM (e.g. Saudi Arabia, Russia, etc.) as well as on commodities as a sector. This could also impact oil producers in Colombia, metal miners in Peru/Asia and agriculture producers in Asia/Africa (while affording high yielding opportunities in asset-based lending to private operators along the commodity value chain as discussed in our previous post- EM: Real Solutions in Real Economy for Real Money). Domestic buying has provided support to equity markets as in India, but its conspicuous absence has often plummeted markets further as recently experienced (due to extreme pessimism) in China. Therefore, those names that remain favorites, enjoy support whereas out-of-favor names face the wrath of domestic investors, the latter proving good short bets. Similarly, Asian private banks chase high yield credit but fear of margin calls in a selling climate often turn them into net sellers suggesting that it pays to follow widely held names in private bank portfolios. Equally susceptible to panic selling and margin calls are equities with small free floats and family-controlled shareholdings. In this regard, Chinese property developers e.g. Evergrande, Jiayuan, etc. are vulnerable if their falling margins cannot service/refinance offshore debt unless of course onshore borrowing becomes attractive with China cutting its interest rates to prop up failing growth (Note: in January alone Chinese property developers have already raised $5.5 billion of their $15 billion upcoming refinancing needs in offshore debt markets at ~570 basis points spread to US treasuries, though some practices remain suspect-Asia Credit Fund, Bloomberg). US dollar emerging market debt has grown almost 200% over the last decade led by growth in nonfinancial debt especially from China’s corporations (including its property developers), with rest of EM showing a relatively modest increase (by 20% of GDP vs. China’s 100% per Morgan Stanley) and good financial discipline. Weakening fundamentals cooling a secondary housing market could sour many high yielding corporate debt issuers thus making an interesting recipe for shorts. However, there always remains a caveat of a “government put” to bail out distressed companies or ease home buying conditions to upset shorts (though recent evidence of little intervention suggests otherwise- “Houses are built to be lived in, not for speculation,” President Xi Jinping at the 19th Party Congress in 2017). Also, if serial borrowers like Evergrande flood the market with large issuances as in January 2018, it could prove negative for the Asian high yield bond market. Notwithstanding that EM remains a secular story, it also offers a host of anomalies, inefficiencies, or shorting opportunities for alternative investors to profit from, that most traditional minds will avoid or fail to exploit. This is truer today with all round uncertainty, large scale disruptions and geopolitics upending the normal functioning of economies, businesses, and markets. Also, it remains a myth that shorting is not possible in EM though we will not candy coat that it is more difficult to short in EM than in DM, given varying shorting rules across EM markets, access/availability of borrow, cost of borrow, basis risk, developing synthetic shorts and above all, scarce shorting skill-set. Hence, the appeal of sophisticated local EM alternative investors (that ÊMA follows closely; sample depicted above) who practice the art and science of shorting in EM, thus scoring over the wide swath of traditional EM investors who fall short time and again, and are now hoping for valuations, fundamentals, and a benign dollar to resuscitate them. 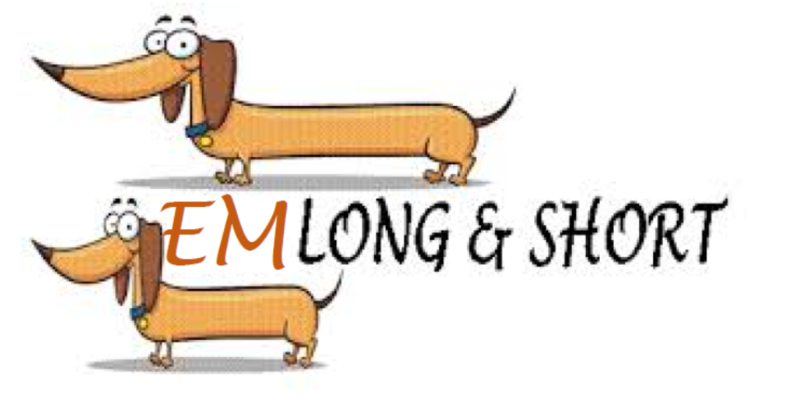 Therefore, those sophisticated investors who have the flexibility to go long and short, should not short-change their portfolios by omitting shorting opportunities but in fact opportunistically pair both alpha shorts and thematic shorts with their long positions (in a long short or market neutral construct) or at the very least employ macro hedges (index shorts) to reduce market exposure in the face of adversity. As we embark on yet another year marked with global uncertainty and disruption, ÊMA remains alert to the new world order by identifying opportunities that can strategically capitalize on trade tensions, supply chain disruptions, protectionism, market dislocations, etc. and provide practical portfolio solutions for the new investing era. ÊMA continues to conduct independent investment audit/due diligence on various such EM based alternative managers who can short artfully to profit even from adversity, to the benefit LPs’ portfolios. Stay tuned. The above content is intended for sophisticated audiences as in institutional investors or accredited investors. Readers are advised that any theme or idea discussed above is not an offer to buy or sell any investment.